Ankush Kumar (25), an alumnus of Guru Nanak College, Budhlada, has bagged the All-India first rank in the Junior Research Fellowship (JRF) exam, jointly conducted by the Council of Scientific and Industrial Research(CSIR) and University Grants Commission (UGC ). The exam was held in June this year, the result of which was declared in October. As many as 900 of the total 40, 000 candidates cleared the JRF exam. 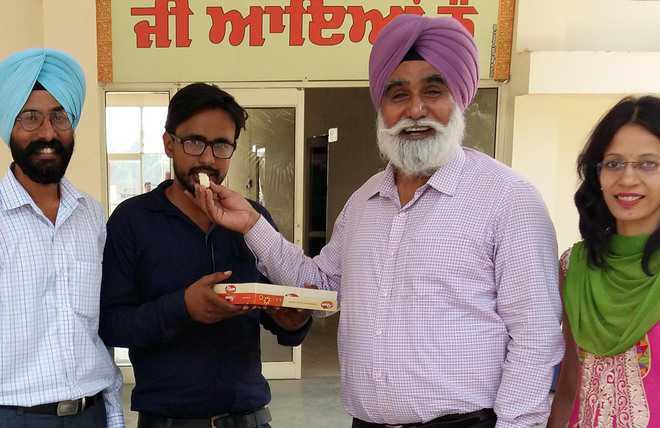 Ankush, who passed MSc (Mathematics) from Guru Nanak College Budhlada last year, scored 165 marks out of total 200.